Building FIVE, of which EBM Expert was the project architect, was given a special award for designing with BIM technology in a prestigious competition: Building of the year 2017. On project Five we have used our wide range of experiences gained from previous projects (in particular the project Corso Court, evaluated by the same award). The judges highly appreciated that the BIM model was used through the entire process of coordination and construction, that gives BIM technology new options and usage. Also highlighted was the implemetation of new technologies into the building process, which means, being more effective in construction, as is appropriate for the 21st century. 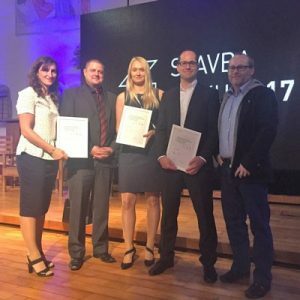 The award was taken along with agents of the investors and building companies at the ceremony in Betlemska kaple on 5th October 2017.